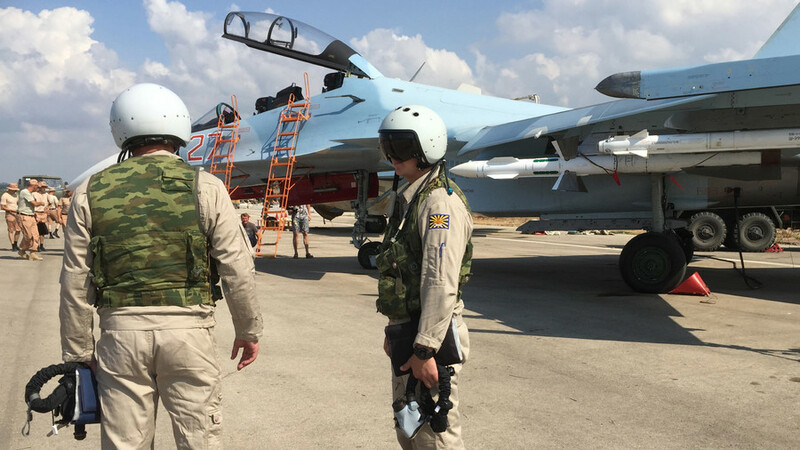 “During the day, Sukhoi-34, Sukhoi-24M and Sukhoi-25 warplanes flew a total of 15 sorties from the Khmeimim airbase. Air strikes were delivered at ten targets of the Islamic State [IS, formerly ISIS/ISIL] group in Syria,” Igor Konashenkov, Russia’s Defense Ministry spokesman said in a statement on Monday. A pair of Su-25Ms (NATO reporting name: Frogfoot) together with an Su-24 (NATO reporting name: Fencer) carried out strikes on two IS targets in the eastern part of Homs province near the city of Tadmur, he said. “About 20 units of medium T-55 tanks, which were earlier seized by the militants from the Syrian army, have been destroyed [in the strikes],” as well as three multiple rocket launchers, he noted. The city Tadmur is located in an oasis in the middle of the Syrian Desert and stands about half a kilometer northeast of the ruins of the ancient city of Palmyra. The UNESCO protected cultural site was captured by IS in May. They have been gradually destroying archeological artifacts and structures since seizing the ancient city. On Sunday they blew up the Arch of Triumph, a centerpiece of the ancient ruins. Russian Su-34 bombers destroyed IS headquarters and a command post in the Aleppo province, Konashenkov said on Monday, adding that there had been “direct hits” on structures housing field commanders in Dayr Hafir and al-Bab. Some 30 IS military vehicles including tanks were destroyed in the forested area near the city of Idlib in northwest Syria, according to the ministry. “We have irrefutable intelligence, including [intercepted] communications between the militants in the area, [proving] the destruction and damage of the terrorists’ armored vehicles,” Konashenkov said. Russia launched its anti-IS operation in Syria on September 30 after a request from President Bashar Assad. Russian President Vladimir Putin has also expressed concern about the number of Russian extremists in the country. On Saturday, three days into the operation, Russia’s Defense Ministry said that, based on Russian intelligence, the militants were fleeing the area which had been under their control. It also stated that the strikes have significantly reduced the terrorists’ combat capabilities.